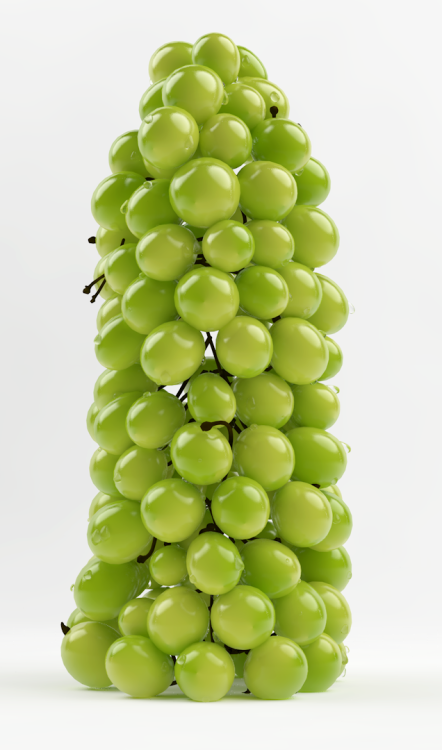 Here are some of our favorite results from our very first Render Challenge, “Grapes”. 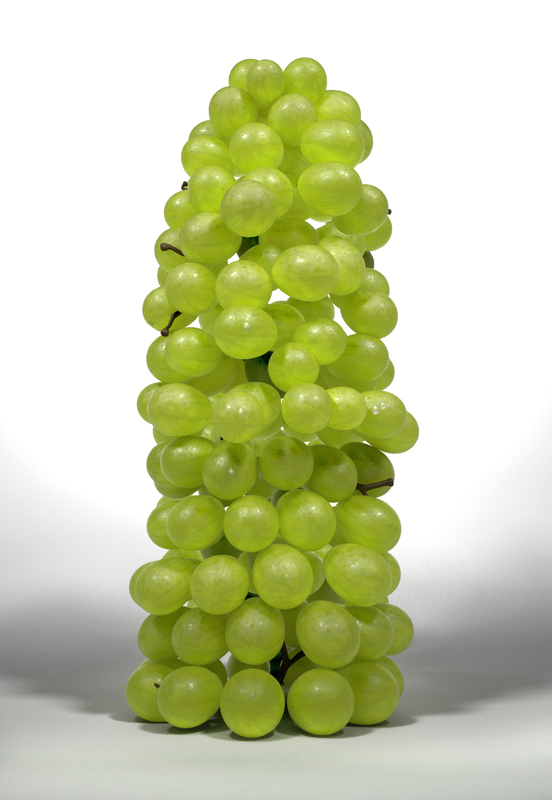 For the challenge, I asked Cinema 4D artists to make the render as close to the original render as possible. It was a challenge to recreate something perfectly. Not to copy them, but to learn what it takes to make a beautiful image and keep some of those lessons in mind for another project. 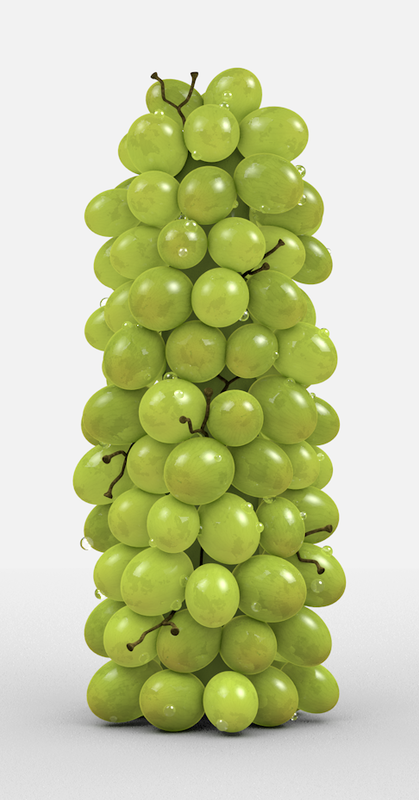 Some of our favorite results are below including one from Jeremy Cox who was nice enough to include his C4D Scene File. I also included mine below. Looks like I need some more practice with SSS textures. Thanks to those of you who participated. Let me know if this is something we should do more of in the future. They all look great! Well all except for nicks. Superb everyone else! Tell me about it. This was pretty challenging. Better luck next time I guess. Great work from everyone else for sure. 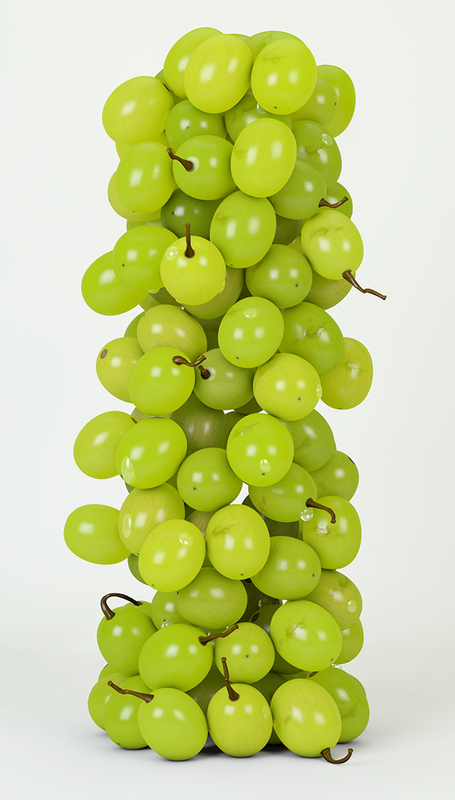 I think the key to getting the translucent grape-look right is to avoid the colour channel completely. 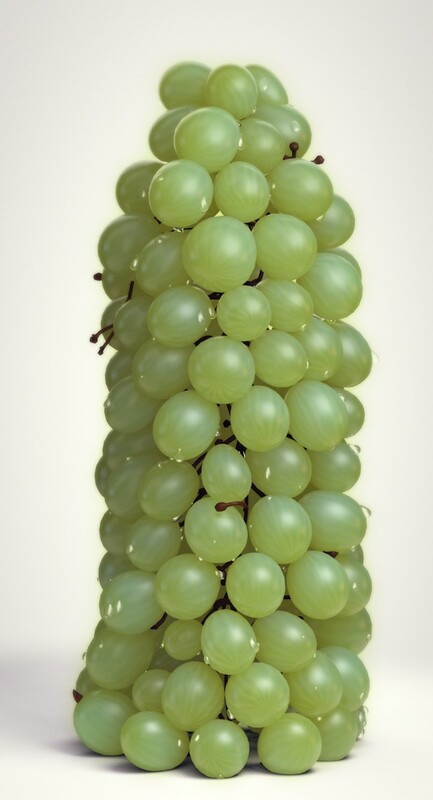 If you put your SSS within a layer in the luminance channel, it means you can add colouring and gradients for the slight brown discolouration at the base of the grapes. By adding the colour this way, you avoid that shiney, wet olive look. Also, I think you need ramp up your SSS rediculoudly high – way way over 100%. You can then use diffusion for the feint black veins. This was my effort – not perfect by any means, but I like the material! Nick, I loved all of them! Could you do a tutorial on one of these? These look awesome! Good job everyone. Me Abhishek from India Chandigarh city..
You guys are amazing The tutorial you made its awesome.. I have a little question or need help. to how to make Newton Pendulum in cinema 4d i try but not get right effect as i need. Here is my project pls tell me how to make it happen. These are all fantastic. 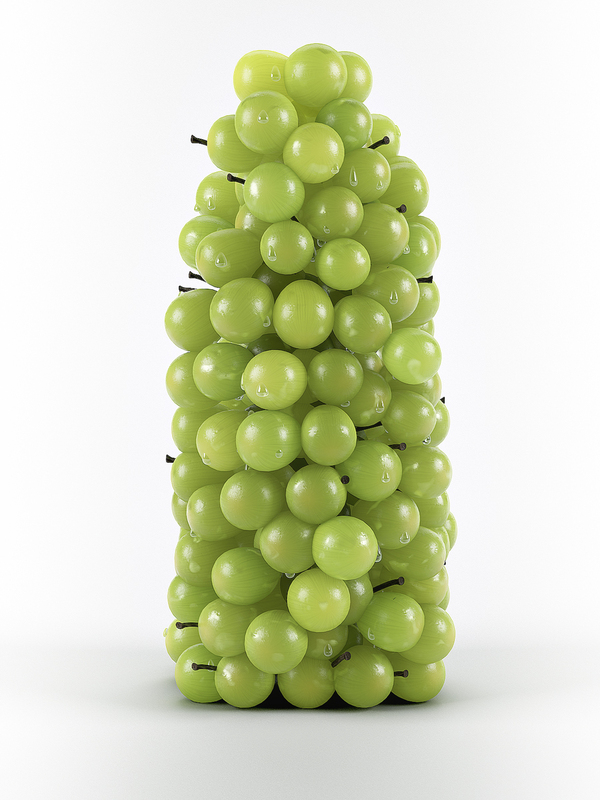 One of them looks kinda like olives…. but, if it wasn’t surrounded by so many other awesome entries, one would be forgiven for thinking it was a real photo anyway! These are really great – well done. I tried for a little while on this (well hours actually!) and that material is really tough to get right. I’m honored you selected mine as one of your favorites. 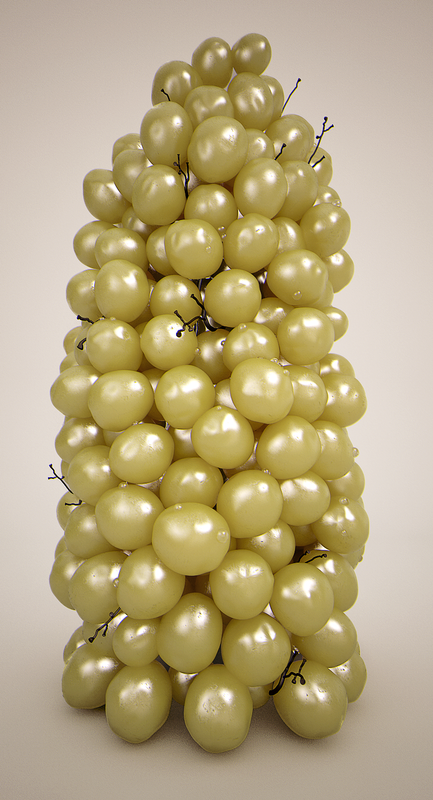 I would really love to do more of these render challenges in the future. I think since this is Greyscale GORILLA, an appropriate name for the challenge would be “Monkey See Monkey Do”. Thanks mate. There are some nice droplet effects too. I couldn’t figure them out though. Could you share some settings or the whole scene with us. I am really interested how you have achieved this great level of realism. Cool work to everyone and a special thanks for putting this together, Nick! They are all inspirational for sure and it’s great to see the differences between them. It’s also awesome to see the source from Jeremy C – Thx for that! I dig the learning platform that you guys are building, GSG. Keep it up + Cheers. Just load and render, you can also see how it was put together.